Anyone in here interested in an SEO apprenticeship role? The strategy is not complicated, but it is time consuming and there is a learning curve. It has taken me a good 8 months of 10+ hours a week learning/testing/talking to get to where I’m at. In short, I create or update content to “fit” what Google has already decided should rank for specific search terms. Basic HTML knowledge is a plus, but not required. An interest in writing copy is a bonus. The budget for this role is, as long as it brings in more than is cost me, I’m happy. That can be in freeing up more of my time to work on other task or bringing in more client work to allow for scaling up more. 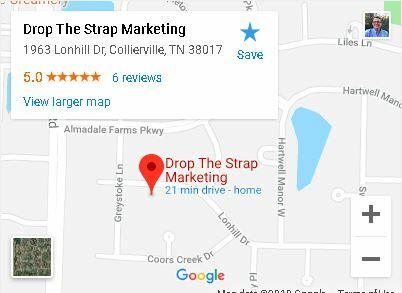 If you are interested, search for > Memphis SEO Expert < and look for Drop The Strap in the results. Shoot me a message in the contact form. For the other SEOs in the area, I would love to grab a coffee once a month or every other week. It is disappointing I have to find community online or have to fly out to other cities to surround myself with others in the Search Ranking space.